Are you searching for the best used auto parts in Auckland? Want to find huge savings on used engines, transmissions, auto body parts, tires, wheels, interior accessories and more for your car, truck, van or SUV? Chances are Used Auto Parts Auckland can guide you to New Zealand’s top used auto parts providers and the parts that you need! Auckland car wreckers offers valuable tips and guidelines for finding and buying the best used auto parts available. Throughout this site, you will find valuable information on the best way to search for and buy second hand auto parts, what to expect from a “quality” used auto parts provider, as well as advertisements and links to the truck salvage yards and used car parts in Auckland. First, determine how long car wrecking yard has been in business. The longer they have been selling used engines the more likely they are to offer quality products and services. How else would their business survive that long? Also check for reviews and feedback online. As with all businesses, evaluate salvage yards by the majority of their feedback and not the exception. If there is an engine review that you are concerned about, ask them how they resolved the issue. You can’t always judge a book by its cover but you may want to visit the recycling yard to see if their facility is neat and clean. The condition of their office, yard and the general attitude they portrait can tell you a lot about the way they process, store and represent their used engines. Find your salvage yard by auto manufacturer: Citroen wreckers, Chrysler wreckers, Peugeot wreckers, Toyota wreckers, Nissan wreckers, Mitsubishi wreckers, Honda wreckers, Isuzu wreckers, Mazda wreckers, Subaru wreckers, Audi wreckers, Alfaromeo wreckers, Volkswagen wreckers, Ford wreckers, Skoda wreckers. Used Auto Parts Auckland are not saying that new and used engine brokers are fraudulent or not legitimate businesses. However we feel that adding a middleman or third party to a used engine transaction complicates the process. In many cases you will; pay more for the engine than by negotiating and buying directly from the salvage yard, take longer to receive it, have a greater chance of mistakes in your order and are more likely to have difficulty if you need to return the engine or execute a warranty for any reason. Some auto recyclers offer in-house professional engine installation services or installations from a list of approved mechanics priced and packaged with the engine purchased. Engine and installation packages provide convenience, on occasion may include longer warranties and may offer discounts over buying the engine and installation separately. The high quality, low cost alternative for replacement parts. Located in south Auckland at the foot of East Tamaki, Taha auto recyclers is ideally situated to service Auckland’s Greater suburbs. We are continuously dismantling Cars, Vans, Utes and 4x4s and hold over 250 vehicles in our 2000 square meter premises. Our computer inventory system gives us access to well over 100,000 parts at the push of a button. 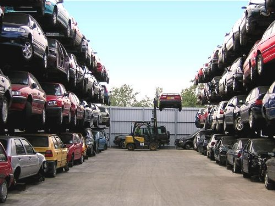 Our scrapping yard has many European and Japanese cars, trucks and 4x4s from which parts can be taken. We can also supply new after-market parts if we don’t have something you need. All parts cleaned and tested. All of our recycled car parts are cleaned, tested and covered by our 30-day guarantee. This simply provides customers with peace of mind when fitting used engines or any other car parts to either their own vehicles or damage-repairable vehicles that you may purchase from our online salvage parts. Complete and e-mail the adjacent Parts Inquiry Form. If you are in a hurry for a particular recycled car part then why not take advantage of our same day/next day parts delivery service. We distribute items locally using our own fleet of car removal services and nationally via courier at additional cost. Vehicle owners who know their way under a car bonnet may consider Used Auto Parts as a cost-effective solution to restoring their car(s) back to roadworthy condition. Purchasing a quality used car part makes economic sense if you are looking to repair either your own vehicle or salvage auction vehicles, instead of paying full price for a new part from a main dealer. We also stock a huge range of quality near new replacement panels, lights, mirrors and radiators at a fraction of the price of the manufacturer. Further reading: used car parts Christchurch, used car parts Perth, used car parts Melbourne. This entry was posted in auto salvage and tagged Alfaromeo wreckers, Audi wreckers, Chrysler wreckers, Citroen wreckers, engine wreckers, Ford wreckers, honda wreckers, isuzu wreckers, mazda wreckers, mitsubishi wreckers, nissan wreckers, Peugeot Wreckers, Skoda wreckers, Subaru wreckers, Toyota Wreckers, Used 4x4 Parts, Used Auto Parts, Used Auto Parts Auckland, Used Auto Parts body panel, Used Auto Parts East Auckland, Used Auto Parts engine, Used Auto Parts north shore, Used Auto Parts South Auckland, Used Auto Parts tyres, Used Auto Parts West Auckland, Used Car Parts, Used truck Parts, Used Van Parts, Volkswagen wreckers, wreckers sell parts Auckland on December 7, 2015 by Cars Wrecker. Car Wreckers Christchurch is one the original car wreckers in Christchurch. For the past 17 years, we have been providing our customers with quality used and second hand car parts at very low prices. Now the rest of Canterbury can also benefit from our great service! Car Wreckers Christchurch specialise in wrecking Holden, Ford, Mazda, Mitsubishi, Nissan and Toyota cars, vans and 4x4s. If you’re after a particular part, please feel free to give us a call or fill in our online parts enquiry below. We will do our best to help you out and look forward to doing business with you! If for any reason you have a car that has been written off and is lying on your backyard, it must be occupying useful space you can utilize for something else. Your unwanted car may also be intact but has a major engine problem that cannot be fixed or is too expensive to repair. Getting rid of such a car is the best option. Do not let your abandoned vehicle lie around for an extra day while we offer money for scrap cars. We buy any car for scrap, wrecked car, damaged, junk, accident, non-running or running vehicle any make, model or age accepted free scrap car collection from your home or business address anywhere in Christchurch, we will pay fair scrap car prices and have no hidden charges or fees, Our service is the easiest way to get rid of an unwanted vehicle in a professional and environmentally friendly manner. The process of turning your car to scrap has to be done professionally by a firm that follows all the government regulations. 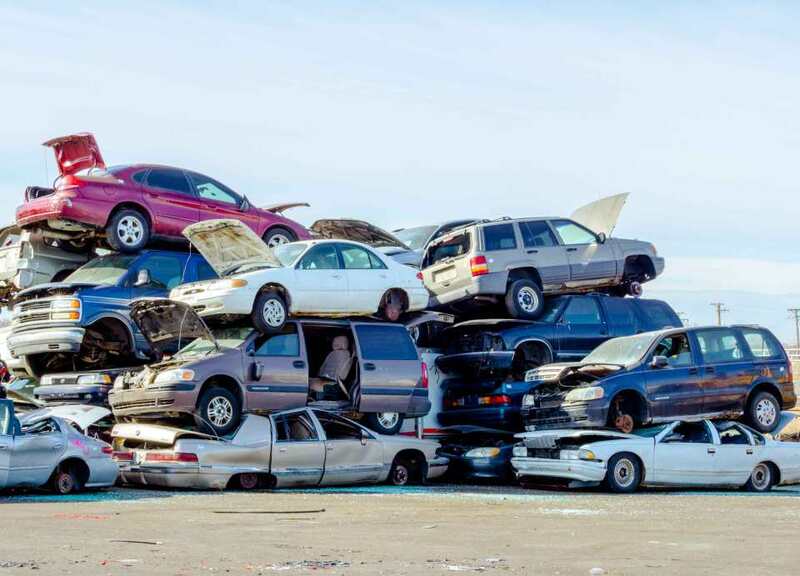 If you are in Christchurch as well as in the surrounding suburbs of Christchurch ( Rolleston, West Melton, Rangiora, Kiaipoi, Belfast, Amberley…) then you have come to the right place as we pay money for scrap cars. The condition of the car does not matter because our recovery vehicles are equipped to move any car whether it is a 4 x 4, ute, van or any other type of car. The condition of the car too does not matter, it may or may not have wheels or has been badly damaged in an accident. Whatever the condition, we will move it and scrap it for you. If you have been thinking “when do I get the time to scrap my car?” you need not worry because we can have flexible working times including evenings and weekends. We operate 24 Hours 7 Days a week. In most cases, we collect on the same day you call us or you can inform us when you are available. Car Wreckers Christchurch is the Number One Choice for customers when it comes to the Free Collection and Recycling of all makes and models of vehicles that have reached the end of life. There are people who are concerned about how the disposal of their car will affect the environment. At Cars Wrecker, we follow laid down disposal procedures that conform to environmentally friendly standards. Car Wreckers Christchurch specialize in Car Dismantling, Car Recycling, Truck Wrecking, Car Salvage Yard, Scrap Car Removal, and Cash for Cars. This entry was posted in auto salvage and tagged 4wd Wreckers Christchurch, car recycling chch, car removal chch, car wreckers chch, Car Wreckers Christchurch, cash for cars christchurch, cash for wrecked cars christchurch, nissan second hand parts, nissan wreckers, Scrap Car Removal, scrap cars chch, second hand car parts chch, toyota wreckers chch, Truck Wreckers Christchurch, van wreckers christchurch on November 3, 2014 by Cars Wrecker. Heavy trucks can take up unnecessary of space, especially, if they are damaged and wrecks. Wrecks of trucks may use the space in the backyard, and may squeeze in any other vehicle. Hence, what can you do about them? Well, simple, just call the Auckland Cars Wrecker, who is also the expert truck wreckers. When you call us, we will help you in removing all the wrecks from your garage. We are based in East Tamaki, and will come to your rescue immediately. 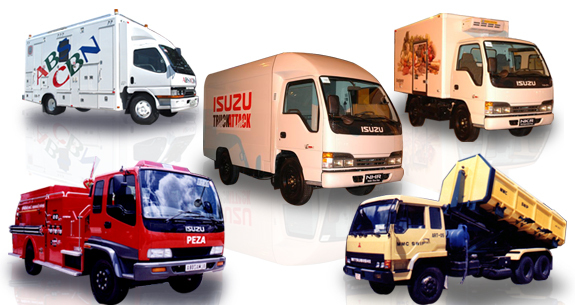 Big or small, new or old – Truck Wreckers Auckland buy all types of trucks in any condition. Just let us know the details of your truck, including make and model, when you contact our team and we will tell you how much we will buy it for. You could be located anywhere in Auckland; our team will reach you, and will clear up the wrecks, within no time. And, this service would be provided, free of cost, in Auckland. We also provide servicing all of Auckland including Takapuna, Silverdale, Papakura, South Auckland, Manurewa, West Auckland. We pay cash to remove old trucks. Just do the booking today, and get our services for free. Truck Wreckers Auckland is the market leaders in dismantling 4X4 and 2WD Japanese trucks such as Isuzu, Hino, Mitsubishi, Nissan,UD just to name a few. We also dismantle most models of American and European model trucks as well. Truck Wreckers Auckland make it easy to get rid of your unwanted truck with our free Auckland-wide truck removal service. All it takes is a phone call and we will come to you, anywhere in Auckland, and tow away your truck. Truck Wreckers Auckland pay top Dollar for any truck, van or SUV. This price quote is based on factors such the condition of your vehicle, the year, make, model, and mileage. Because of our professional automotive consultant, we can always pay more than most car wrecking buyers. Do you have an old, damaged or unwanted truck? You don’t have to keep it around. This entry was posted in auto salvage and tagged fuso wreckers, isuzu wreckers, mack wreckers, mercedes wreckers, nissan wreckers, Truck dismantlers Auckland, Truck recyclers Auckland, Truck scrap Auckland, truck wreckers, Truck Wreckers Auckland, Truck Wreckers Auckland commercial vans, Truck Wreckers Auckland east, Truck Wreckers Auckland isuzu, Truck Wreckers Auckland north, Truck Wreckers Auckland north shore, Truck Wreckers Auckland south, Truck Wreckers Auckland volvo, Truck Wreckers Auckland west, Truck Wrecking Auckland on April 8, 2013 by Cars Wrecker.